Accord credenzas are sturdy and space efficient with adjustable shelves. 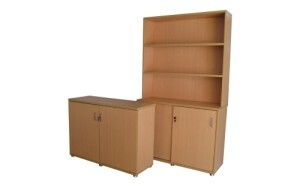 All credenzas are 888mm high x 450mm deep with locks. Sizes and door options are as follows.